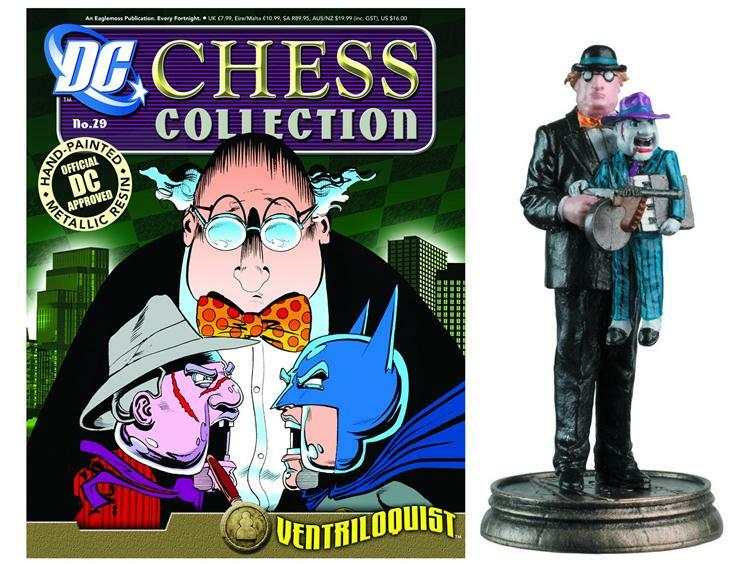 The DC Chess Collection begins with the Batman chess set, which pits Gotham's greatest heroes against the Joker's villains of Arkham Asylum. Each character is superbly rendered, cast from a specially formulated metalized resin and painted by expert model-makers. Each issue comes complete with an in-depth 16-page magazine providing detail on the character as well as essential chess tips for players of all levels. Continue your collection with Black Bat (White Pawn) (#28) and the Ventriloquist (Black Pawn) (#27).